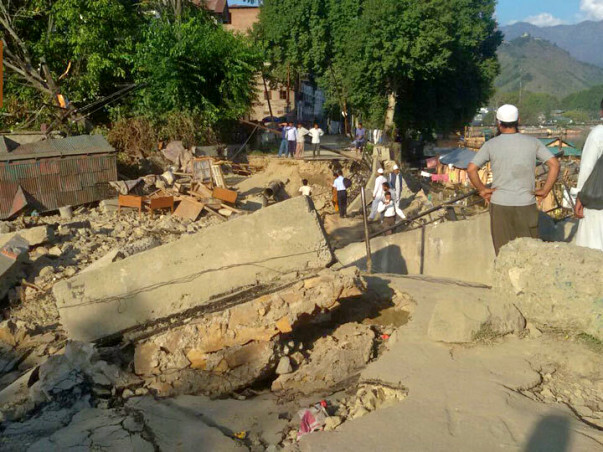 It's been a month since the floods hit Jammu and Kashmir (India) and the people affected are just beginning to piece their lives together. 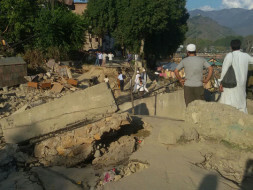 People have not just lost their homes, schools and hospitals but also their loved ones. In this time of difficulty,'The Bake Collective' wishes to support them in the best way they know how. 'The Bake Collective' is an informal collective that fundraises for various social causes by holding bake sales, and this time, we wish to do the same for the people of JnK. The money raised will be contributed to Goonj (http://goonj.org/?page_id=3400) and the target amount to is Rs. 200,000. Rs. 120,000 will get us two tons (2000 kgs) of mixed food grains, which will feed about 80 families. The rest will help us get the following: Utensils sets (6 plates and glasses, 2 cooking vessel with lid and spoons, tea pan, kadai, chimta/tong- Rs.1500 per set), blankets (Rs.200 per piece) and tarpaulin (18ft x12ft, costs Rs.500) to cover a family of four. If we overachieve this amount, we can do so much more for the people of JnK.